Welcome to the Gratitude Giveaways hosted by I'm a Reader Not a Writer and All Consuming Books. I’m so excited to be kicking off my portion of the Grateful Giveaway Hop! This is my opportunity to say THANK YOU for supporting my blog. There will be two winners in my Grateful Giveaway. Each winner will win one signed copy of The Weaver, personalized to whomever you deem worthy. If you have a shipping address in the U.S., then all you need to do to qualify is make sure you are following this blog through Google friend connect and then leave a comment on this post telling me something you are grateful for. Be sure your email address is easy to find, either in your message or in your profile, so I can contact you if you win. If I can’t easily find it within a click or two, then I’ll redraw. The giveaway is open through November 27th (my sister’s birthday, someone I’m grateful for). I will contact the winners on the 28th and announce them on the blog as soon as they are confirmed. 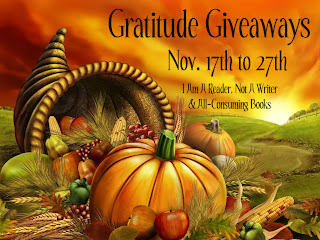 Be sure to visit the other blogs participating in the Grateful Giveaway Hop. This book sounds awesome would love to win it for my granddaughter. I am grateful for my family they are all wonderful people. I'm grateful for my faith, family & friends! I'm super thankful for my kiddos and books! Thanks for hosting a great giveaway! I am so thankful for my family and how close we are! And, of course, for books! I am thankful for my family, friends, boyfriend and his wonderful family! Heavens, that's an amazing list. Thanks for hosting this giveaway. Giveaways are always fun. I'm grateful that God has kept me and my family healthy and loving and strong. I'm thankful for my Catholic faith. I am grateful I have a full day off tomorrow! I am grateful for my health and my daughter! I am greatful for a healthy family, and my books!! I'm so thankful for my family and our blessings. Thank you so much for the excellent giveaway. I am very thankful for my friends and family who have helped me so much this year. 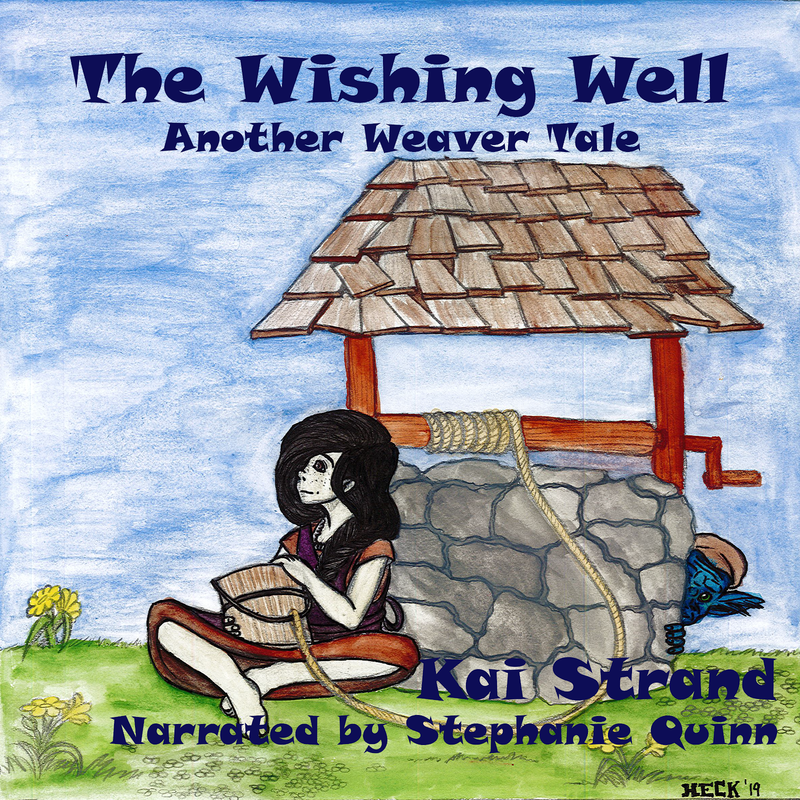 I'm not sure I'm worthy, necessarily, but I'd love a signed to ME copy of The Weaver!! I'm grateful for my family, especially my husband who is unendingly patient. Thanks for the Giveaway! I am grateful for my own talents along with so many others who share their talents with me. I am grateful for my grand kids. Thank you...Giveaway hops are amazing! I'm thankful for my family's health. I am thankful for my wonderful children who make everyday a new adventure. I am thankful for good health and family and a good book!